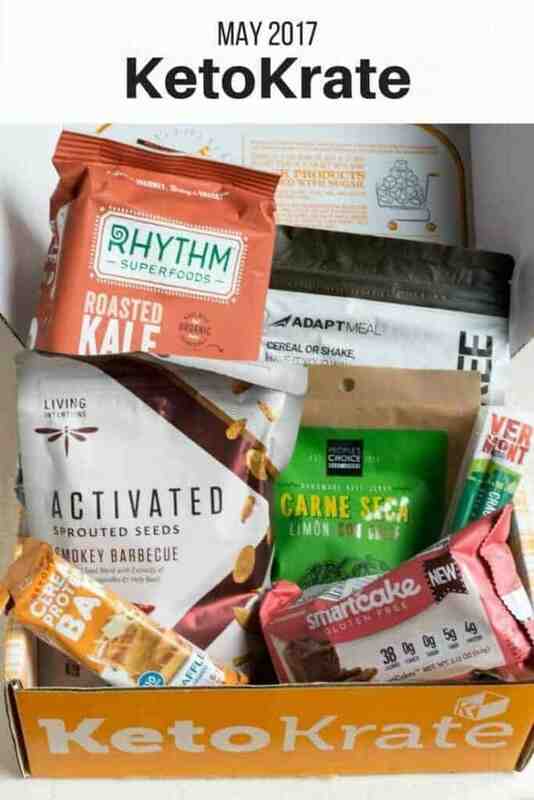 Who wouldn’t want a great selection of low carb products delivered straight to their door each month? With Keto Krate, you’ll get just that. Boy am I glad I continued with the Keto Krate reviews. This service never fails to amaze me each month with great new products. 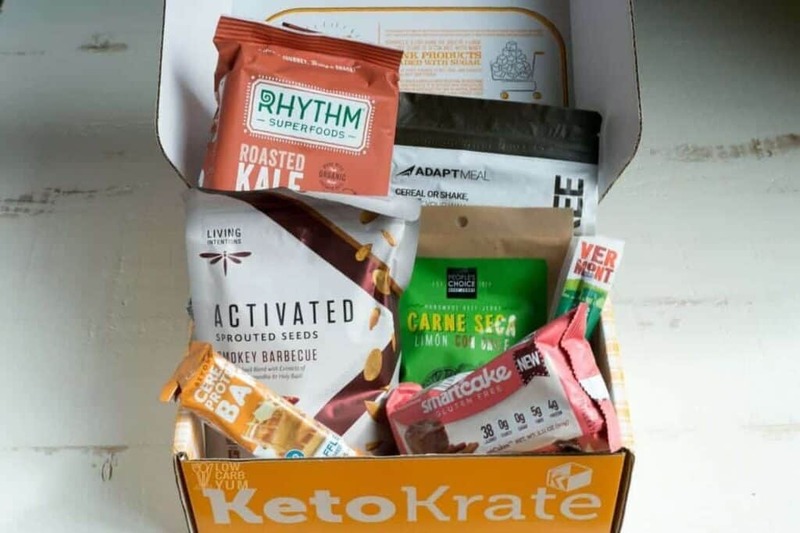 Although I haven’t tried the other subscriptions for low carb products, I feel the Keto Krate is the best and continues to improve. They really do listen to their subscribers and the product selection is always excellent. A lot of people feel it’s a lot of money, but with Keto Krate, they offer a 100% money back guarantee. And, you can cancel the subscription at any time. 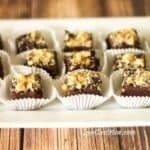 If you want the convenience of getting a fantastic selection of low carb treats shipped to you each month, you have to check them out. Or, you can spend a little more and order each of the products separately. The featured product of the month is the Quest Nutrition Waffle “Beyond Cereal” Protein Bar. At first bite, this cereal bar reminded me of a Rice Krispies treat. I thought the bar was too sweet. But, it’s made to taste like a waffle covered in maple syrup. So the amount of sweetness is pretty close to that of pancake syrup. Overall, I thought this was a good snack, but I’d like to see the sweetness toned down. I’ve been off sugar for a while so this bar may not seem so sweet so someone just getting away from sugar. The Beyond Protein bars by Quest Nutrition are available on Amazon. I’d be interested to see how the other flavors are. Subscribers got a 20% off coupon to buy more directly from Quest Nutrition. Seeds are one of my favorite low carb snacks. And, I love when they have some added flavor and spice. 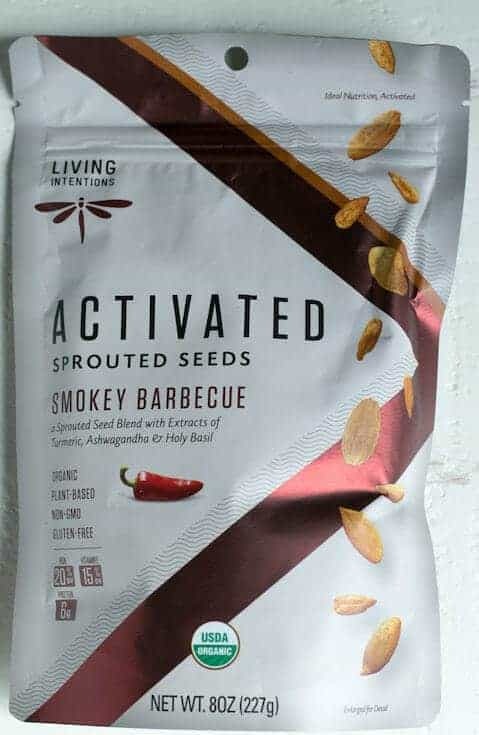 The Living Intentions Activated Sprouted Seeds are a blend of pumpkin and sunflower seeds. The barbecue flavor has a nice blend of herbs and spices. The herb blend includes extracts of turmeric, ashwaganda, and holy basil. There’s also a touch of chipolte added. into the barbecue spice mix. The Smokey Barbecue Seeds are available on Amazon. 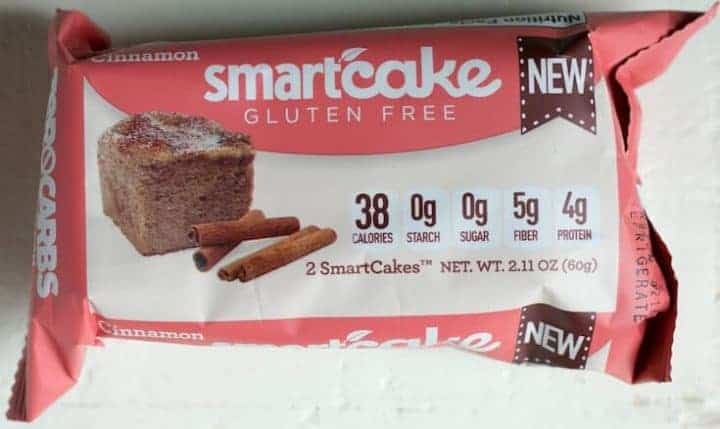 My favorite product in this month’s box was the cinnamon Smart Cake. The texture of each little cake was spot on and the taste was excellent. The cakes are made with a blend of oat and corn fiber. Since the carbs are all fiber, the net carb count is zero. These are a brand new product and I can see them selling like hot cakes. They are a bit expensive, but I think they are worth it for an occasional treat. You can find these yummy gluten free low carb cakes at select markets in the US. Or, you can shop online at Smart Baking. A 15% off discount was provided so I’m going to check out the other cake flavors. I was happy to see a repeat of the cracked pepper beef & pork stick by Vermont Smoke and Cure. It was also in the October 2016 Keto Krate low carb products box. My youngest daughter loves this stick. She was fighting me for it last time. There is a touch of sweetness to it which may be why she likes it so much. The nutritional data shows zero gram sugar. So even though there is sugar listed as an ingredient, it’s not enough to have an impact. And, there’s only only 80 calories in the stick with 6 grams of protein. Included in the box was a 20% off discount to use at the Vermont Smoke and Cure website. You can find these meat sticks on Amazon. I look forward to trying the dried meat products in the Keto Krate. This month did not disappoint. A tasty handmade beef jerky was included. 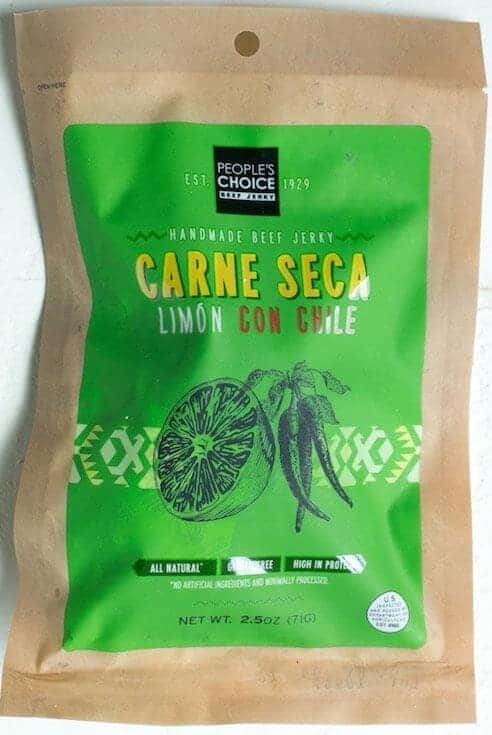 The jerky is made by People’s Choice Carne Seca Beef Jerky. The flavor is Limon Con Chile. It has a touch of lemon with a kick of hot pepper. Since my husband isn’t a fan of spicy foods, I got to enjoy the entire bag myself. And, there’s no sugar, no carbs, or funky ingredients. If you like spicy jerky, you’ll love this flavor. You can find it online at People’s Choice Beef Jerky. 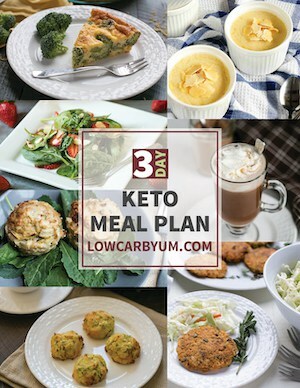 A 15% off discount code was included in the Keto Krate low carb products box. 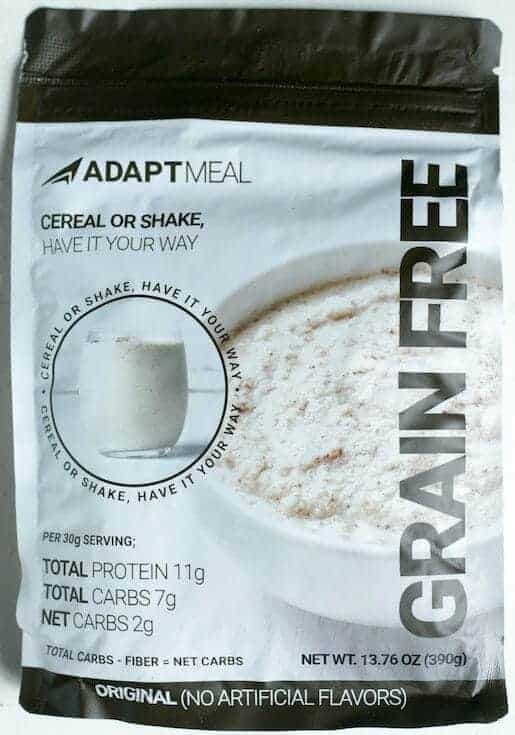 The Adapt Meal low carb cereal is a pretty versatile product. 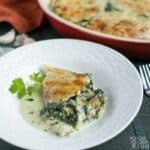 You can enjoy it as a cereal, shake, or ingredients in keto recipes. There were three recipes included to test out the product in cookies, pancakes, and cereal. I tested out the cereal and it wasn’t bad. I did need to add a touch of stevia as there’s no sweetener added. Each serving of the cereal is two heaping tablespoons which is very filling. There’s 7 grams of carbs and 5 grams fiber in each serving for a net count of 2 grams. The bag of cereal is a bit pricey, but a little goes a long way. You can find out more about the product at Adapt Your Life. 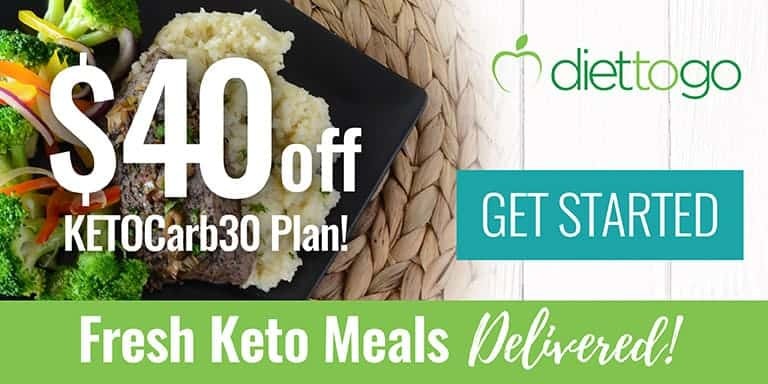 And, a 10% off discount code is provided in the Keto Krate low carb product box. 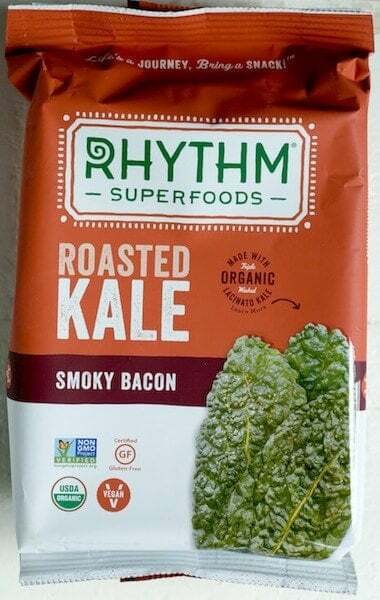 The Rhythm Superfoods smoky bacon roasted kale pieces are another repeat product. I really loved them last time so I was happy to see them again. Although I don’t really care for kale, these roasted chips are super delicious. You can find them locally at Whole Foods, Sprouts, Kroger, Publix, Albertsons, Target, Starbucks, Costco, and Safeway. 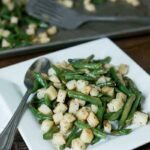 The price isn’t bad for this tasty low carb snack. And, it’s one of the best low carb products to take along on a summer road trip. Since it’s tough to find suitable foods along the highway, I always stock up. Since I don’t have the time to make my own kale chips, this is a convenient product for me. I’ll be taking some with me when I head down to Outer Banks this summer. The retail value of all the items that came in this month’s box is a lot more than the cost of the monthly Keto Krate subscription minus shipping costs. 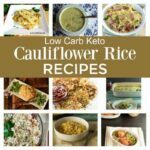 So, the subscription was certainly worth the cost to receive these low carb products. And, the convenience just can’t be beat! The February 2017 box review is available here. The March 2017 box review is available here. The April 2017 box review is available here. Ready to sign up? Just head over to Keto Krate to subscribe! How can I order the keto krate? You’d have to check and see if the shipping would be worth it. Hi, can I get these shipped to Australia? You can ask the guys at Keto Krate how much it would be for shipping.